Not until the other day when I had a pitcher of almond milk, did I realize that I can have panna cotta substituting half of the cream with almond milk. I would have taken away the cream completely but it's not panna cotta anymore if I did. I mixed the almond milk with light cream. I wish I thought of it a long time ago. 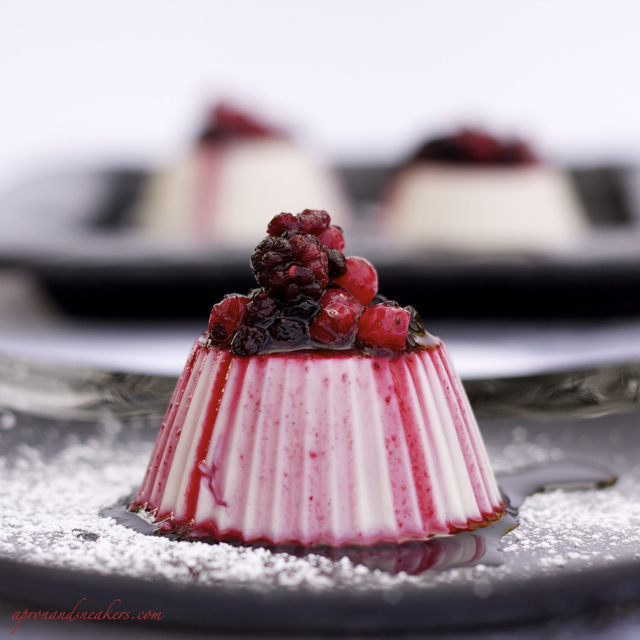 If you want to go back to the regular recipe of panna cotta, just use 100% cream instead of dividing the cream and almond milk. 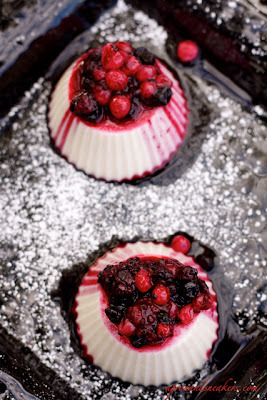 If you don't like almond milk and want your panna cotta lighter, divide the cream with cow's milk (50-50). You have the upper hand. You are the one eating it so adapt it to your taste. In place of the gelatin, I used the vegetarian alternative agar agar powder. It doesn't change the taste or anything. I always keep a pack of frozen frutti di bosco so I would have them on hand anytime of the year. 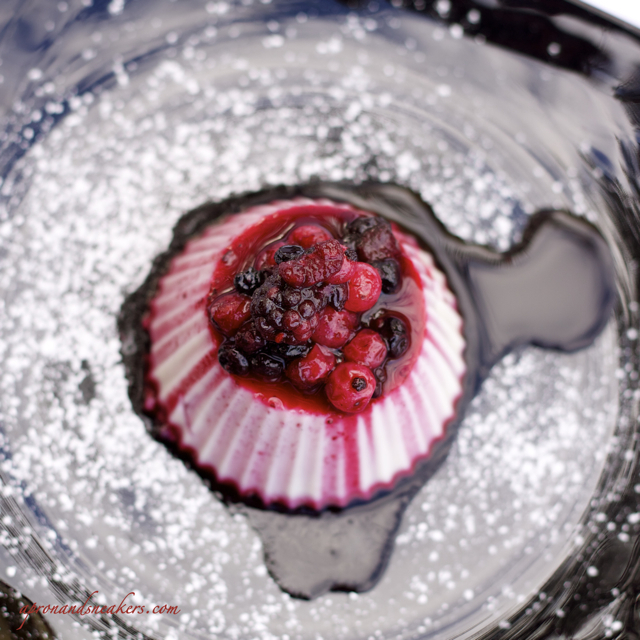 You can prepare everything in less than 10 minutes so it makes an ideal dessert when you are pressed for time and want something impressive-looking. Pour cream & almond milk in a small saucepan. Add 40 g. sugar and vanilla pod. Cook on low flame until it starts to boil gently. Add in agar agar. Whisk well until it completely dissolves. Whisk for a minute in the fire then turn it off. If you encounter lumps even if you whisked continuously, strain the liquid to get rid of the lumps. Pour mixture in individual molds. I used silicone molds which were so easy to use. When the panna cotta were to be taken out of them, they practically slid out without giving any problems. Let them cool for at least two hours in the fridge until they set. For the sauce, put berries in a small saucepan. Add water, 1.5 tbsp. sugar & lemon. Cook on low flame until the sauce starts to thicken. Let it cool. 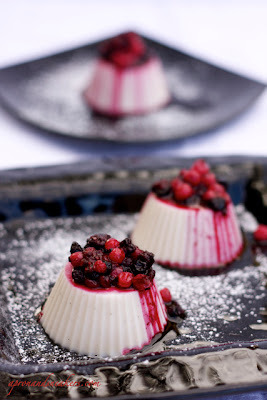 Before serving the panna cotta, pour the sauce on top. Drizzle with powdered sugar.